Greenville, SC – September 9, 2017 – YouthLink STEM Academy has established STEM Education initiatives to increase the roles of women and minorities in STEM-related fields. 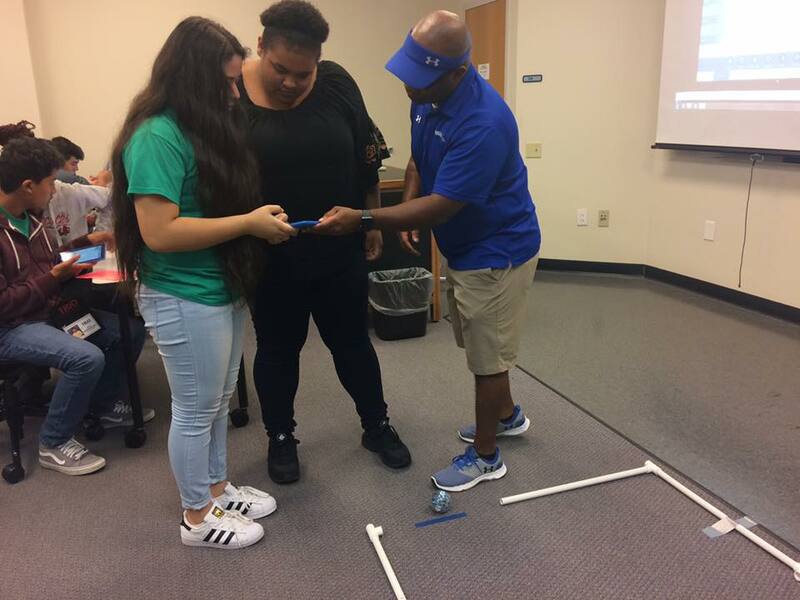 “Code the World” was the focus on Saturday September 9th for the YouthLink STEM Xtreme Saturdays event at Greenville Technical College in Greenville, SC. Area Greenville high school students in grades 9-12 within the TRIO Upward Bound Program were given the opportunity to participate in a Sphero SPRK+ Robotics class.Within the class each student was given the opportunity to overcome a series of challenges by engineering the Sphero SPRK+ robot by fine-tuning coding instructions, testing, and implementing to successfully complete an obstacle course. Luis Gabriel a ninth grader from Carolina High School stated, “The class was exciting and fun. I enjoyed the competitiveness and excitement from being the first to complete the obstacle course.” Many of the students expressed their interest in coding, and were elated to participate in an activity that enable them to do so. For more information about upcoming STEM Education events in your area, visit https://youthlinksc.org/events.